Villagers at cycling, at Bandaragama Karting Track! 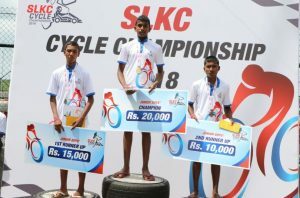 As a gesture of goodwill and means to pay gratitude to the community of its vicinity, the Sri Lanka Karting Circuit (SLKC) at Bandaragama hosted a cycle race for the people of the Bandaragama area recently. 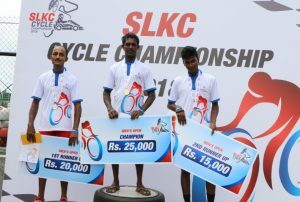 The race was organised in collaboration with the Sri Lanka Cycling Federation. 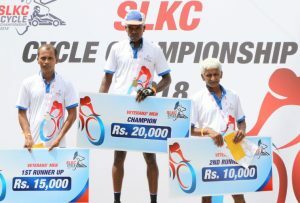 A total of 52 riders from the six Grama Niladhari Divisions in Bandaragama participated, being eagerly cheered on by hundreds of fellow villagers. Men’s Open (for those who were 18 to 44 years of age), Women’s Open (16-44), Senior Men (45 and above) and Junior Boys (12-17). The main event, the Men’s Open, was held on the International Track (distance of approximately 1,200 m) and Women’s Open, Senior Men’s and Junior Boys on the A+ Track (approximately 717 m). Men’s open event comprised 10 laps while the other categories were conducted over five laps. 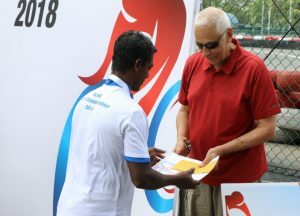 In the Senior Men’s event, the winner Sarath Fernando from the Walgama area took the lead from the start and maintained that until the end, ensuring a one-round lead from the third lap onward. 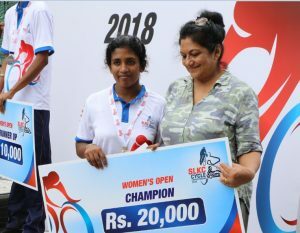 The winner of Women’s Open, Lakshika Sandamali, also from Walgama, was a close second for the first one-and-half laps and then took the lead to cross the finish-line as the winner. Nethruwan Fernando of Walgama, the winner of the Junior Boys category, also maintained first place from start to finish. The most competitive event was Men’s Open which had the spectators on their feet. Kusum Wijesiri Aponso of Aluthgama won the first place breaking away from pack after fighting closely with the others, for many laps. The Sri Lanka Karting Circuit, Bandaragama is the only go-kart track in Sri Lanka built to international standard. It spreads over a 22-acre property. It is one of only three kart tracks available in the whole of Asia. The venue has been homogenised by the sport’s governing body, Fédération Internationale de l’Automobile (FIA). The Bandaragama Karting Circuit is managed by David Pieris Racing & Leisure (Private) Limited. 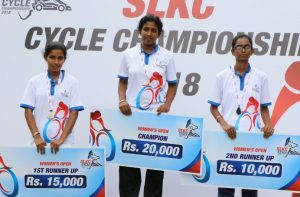 The SLKC Cycle Championship 2018 was also attended by the Chairman of David Pieris Group of Companies, David Pieris, Managing Director of David Pieris Motor Company (Private) Limited Rohana Dissanayake, Director (Parts & Accessories), Jayantha Ratnayake, Managing Director of David Pieris Racing & Leisure (Private) Limited Dinesh Jayasundera, Director – DPRL Ms. Uthpala Dissanayake and many representatives from the David Pieris Group. 3rd Place: Pramuditha Lakshan, Walgama (6.27.772). Seventy-one years after they first toured Australia, India finally have a series win to show.